New homes sprang up everywhere, but most were inside and on the fringes of the cities, in the fast-growing new suburbia. London, of course, was far and away the most important of the cities: between 1841 and 1881, the number of occupied houses there "grew by an average of 56,000 every ten years at an accelerating pace that peaked in the 1870s" (White 77). Huge tracts of land were under development from early in the century: Thomas Cubitt, the great master-builder and supplier of building materials, and the first person to put the industry on its modern footing, embarked on his first major project in Bloomsbury in 1820, when he leased some land from the Duke of Bedford's estate. A few years later (1824), he leased nineteen acres from the Grosvenor estate south of Hyde Park, eventually developing 140 acres in this area, thus building up much of Belgravia. Knightsbridge, on the old Lowndes estate, and Pimlico, on another part of the Grosvenor estate close to the Thames, followed. From 1839 his workshop was on the site now occupied by Dolphin Square, enabling him to bring in his supplies by specially adapted barges onto his own specially constructed embankment on the Thames (Halliday 62-72). Cubitt liked to be known as a builder rather than an architect. His early problems with the dilatory William Brooks, on his first big contract — to build the London Institution at Finsbury Circus — put him off the latter profession altogether, and helped to push him into specualtive development. He wanted to keep control of his housing developments, rather than have to fulfil the particular demands of individual clients. He therefore employed his own architects and surveyors, including for a while his brothers William and Lewis. The more important of these was the younger one, Lewis, who had trained in the office (and later married the daughter) of Henry Edward Kendall, a former pupil of John Nash. It seems clear that the elder brother's word was final, and that he more than anyone else not only changed the face of residential Inner London, but determined its features: basically, rows of solid-looking classical stucco houses, built to last and punctuated by garden squares — whether on a grand scale in Belgravia or in the somewhat more modest rows and squares of Pimlico. As time went by, many other fine new London homes were built. Cubitt himself trained up John Kelk, for instance, who worked in housing as well as on the huge public works (such as Victoria Station) for which he is better remembered. More interesting than the big or even small speculative developments, however, were the individual residences, especially those built by architects for themselves or their friends. Wemmick's "castle" in Great Expectations is a mere cottage compared to the one William Burges made for himself in Melbury Road, Kensington. 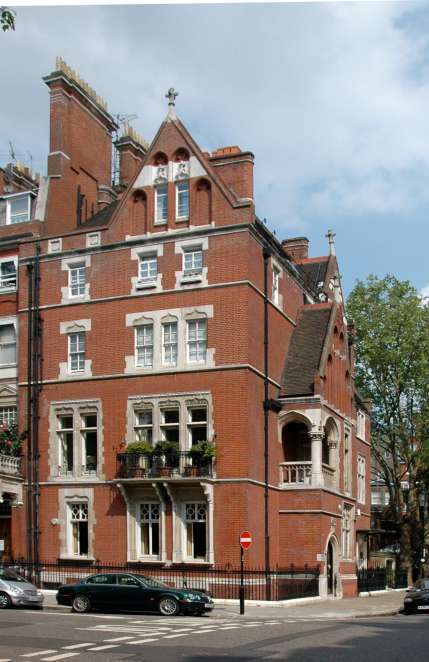 G. E. Street's house in Cadogan Square was less extravagant and fanciful, but still very imposing. 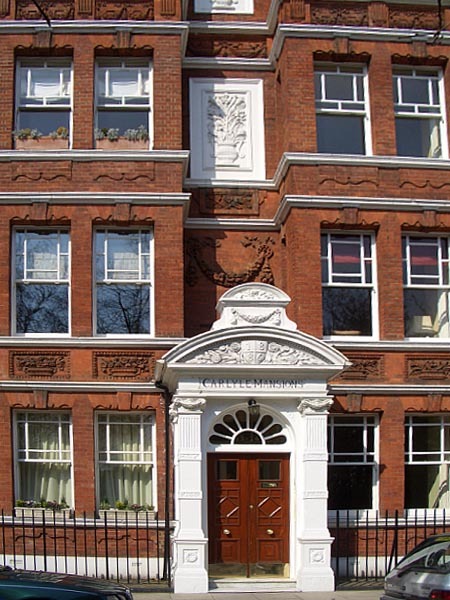 Philip Webb designed a most impressive townhouse with the enviable address of 1 Palace Gate for the Pre-Raphaelite patron, George Howard. 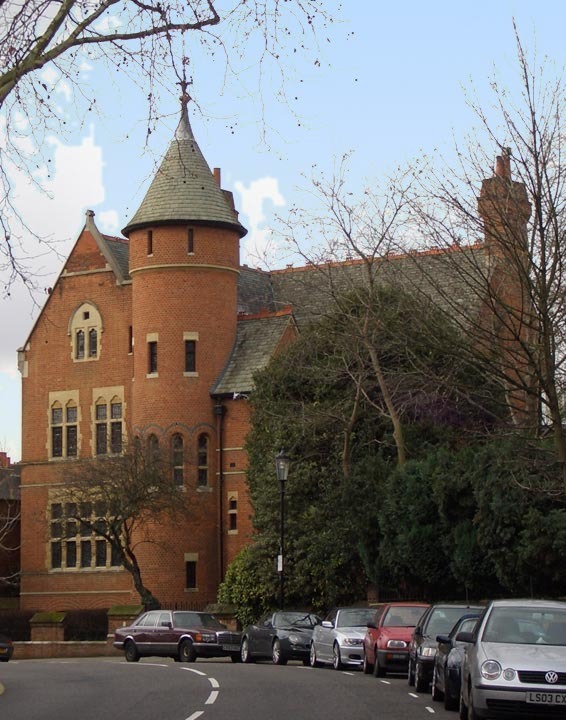 Other well-off people found it more convenient to live in grand apartment buildings like the handsomely decorated Carlyle Mansions, with its outer wall-panels depicting wildlife, river motifs and so on; or Norman Shaw's distinctive Albert Hall Mansions, with their unusual curving lines. Rows of sturdy and stylish suburban houses were also constructed in the outskirts of London, too. 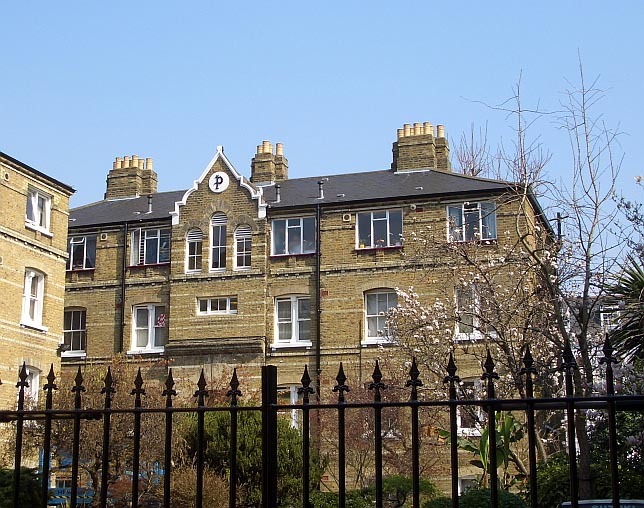 For example, some of Thomas Cubitt's own earliest work was in the north of London, at Stoke Newington, which was then not so much a suburb as a village (it is now part of the London Borough of Hackney): "he almost cut his teeth" there, says a local historian ("Thomas Cubitt, Builder"). 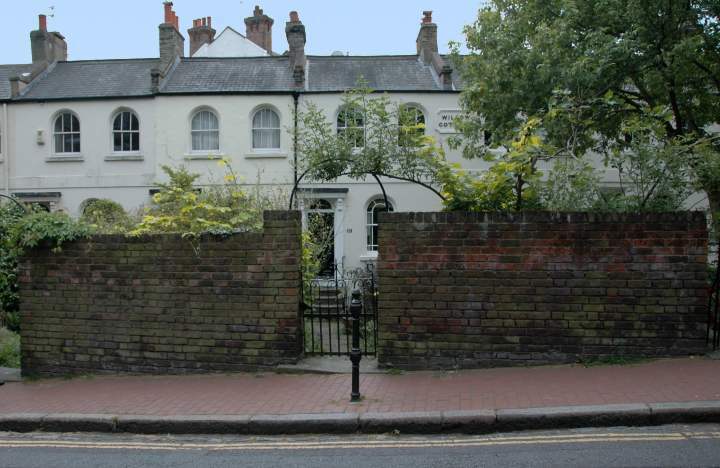 Most such houses were terraced, like Thomas Pooley's "New Town" in what now seems the quintessential suburb of Surbiton, on the London/Surrey border. But here again, real efforts were often made to add interesting features to them. A later phase of the Surbiton development (after Pooley's enterprise had failed) is represented by the houses round St Andrew's Square, which have some Italianate features, and are complemented by nearby St Raphael's Roman Catholic Church with its three-storey campanile. The same thing happened around other towns like Oxford, where academics, lawyers, businessmen and so on settled comfortably in detached and semi-detached villas, in variations on the currently fashionable Gothic and Queen Anne styles, in leafy Norham Gardens, North Oxford. Lower down the social scale, for menial workers, there were smaller terraces: the East End of London mushroomed, until mid-century mainly with mean and airless back-to-back terraces which only had windows in the front. But these came to be frowned on, and later on more conventional rows were built like the cosy (and now much sought-after) "Willow Cottages" in Hampstead, where water-cress gatherers once lived. These cottages date from 1852-62 (Erlington). 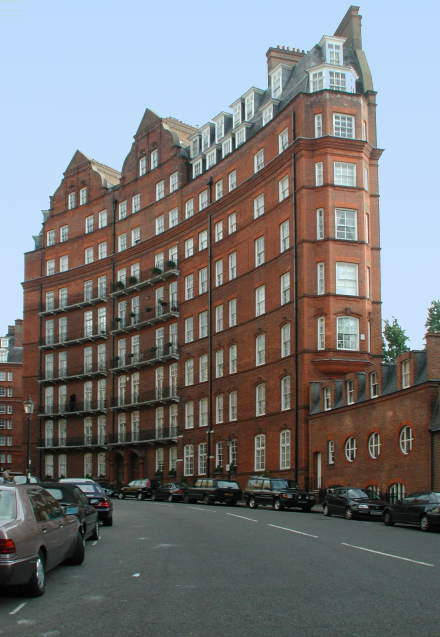 Philanthropy accounted for such model dwellings as the Peabody Estates — including the now very smart-looking development in Lawrence Road, Chelsea. These provided decent accommodation for at least some of the many working-class families who had previously been living in tumbledown tenements and slums. More model housing was still being put up at the end of the period. But, as Neil Kunze says, this kind of philanthropy only helped "a small minority" (380) of the so-called deserving poor, still leaving the majority in miserably overcrowded accommodation. In other words, at the bottom of the social scale, in the town as in rural backwaters, there was still considerable scope for better housing at the end of the age. Elrington, C. R. (ed). "Hampstead: Hampstead Town." A History of the County of Middlesex. Vol. 9 (1989). Viewed 3 August 2008. Halliday, Stephen. Making the Metropolis: Creators of Victorian London. Derby: Breedon. 2003. Kunze, Neil. "Housing." Victorian Britain: An Encyclopedia. Ed. Sally Mitchell. New York and London: Garland, 1988. Thomas Cubitt, Builder" (a local history site). Viewed 15 August 2008. White, Jerry. London in the Nineteenth Century: "A Human Awful Wonder of God." London: Cape: 2007.